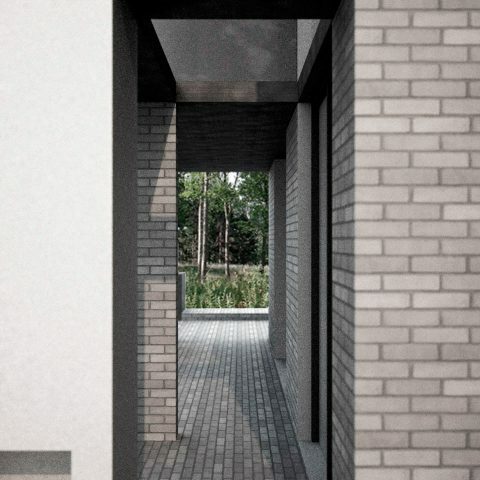 31/44 completed a detailed feasibility study for the design of five new luxury dwellings on a site near Belfast. 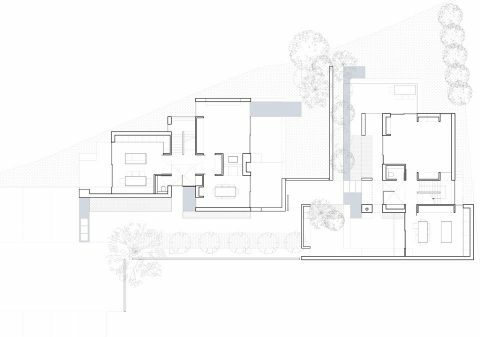 The houses are arranged around a communal landscaped courtyard with private residential spaces radiating from this shared resource. 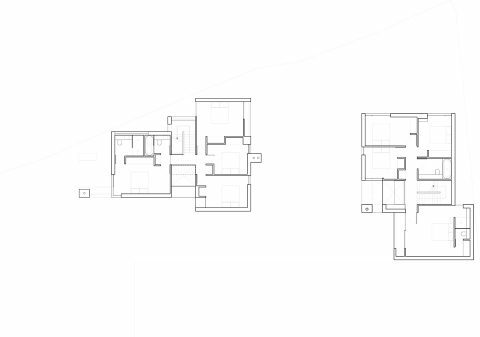 For the first phase of the scheme we further developed proposals for one dwelling. 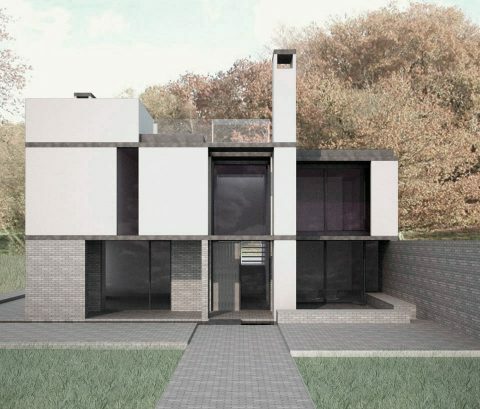 The resulting tight site and the retention of existing properties and an adjacent railway line required the careful placement of the dwelling in order to achieve privacy whilst delivering the optimum sunlight to both the internal and external spaces. The ground floor living spaces are each complemented by a walled outdoor living area. 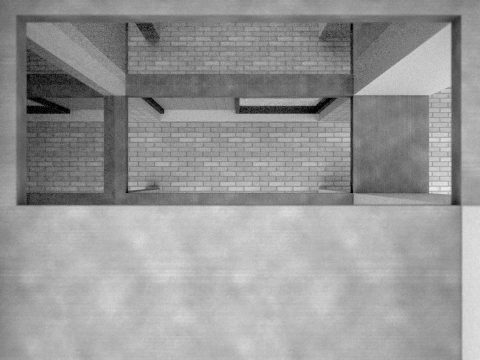 The interior bare brick walls continue outdoors to reinforce this condition. 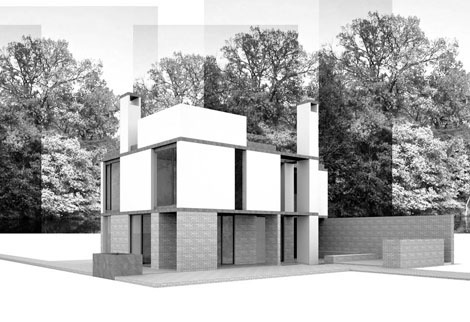 The deep openings with large reveals further aid privacy and lend the house a sculptural quality.